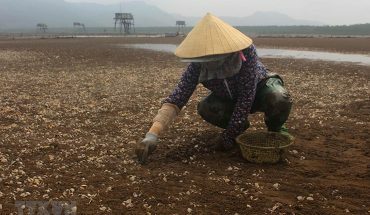 The prices of local shrimp raw material is moving up fast and export market is staying steady, facilitating Vietnam to boost shrimp production in a more controlled manner. According to Ministry of Agriculture and Rural Development (MARD), the market is moving in a good way for Vietnamese shrimp sector. Prices and demand of local shrimp raw material are increasing, facilitating the production, processing and export of local enterprises. With the aim to take advantage of market opportunities, fulfill the targets and prevent the shortage of raw material late 2018 and early 2019, MARD has given directions to Chairmen of provinces and cities directly under the Central government, where shrimp coastal farming is rather a development. Accordingly Departments of Agriculture and Rural Development and local authorities are requested to encourage farmers and enterprises to invest into brackish water shrimps in potential and favorable areas. They are suggested to apply advanced technology to improve the production, yield and quality. Besides, value chain connection should be followed to enhance the efficiency of production and traceability. A leader of Directorate of Fisheries said that to make the most of a market, managers should encourage shrimp production from households and business sectors where farming conditions, high-tech appliance and control system are satisfied. MARD requests local authorities to assure production safety and efficiency by checking and controlling the diseases. They are required to widely inform of environment monitoring and warning so that farmers would embrace themselves for unfavorable conditions. Moreover, they must well manage the quality of post larvae and input material in aquaculture. Inspectors should frequently check and strictly handle cases that violate regulations of production and trading of shrimps without traceability and quarantine, and using unregulated environmental treatment products. Local authorities, that already sign regulations on management of brackish water post larvae, are eager to share information of managing post larvae quality. MARD suggests supervising the purchasing, transport, preliminary treatment, and processingto prevent contaminant injection into raw material shrimp.